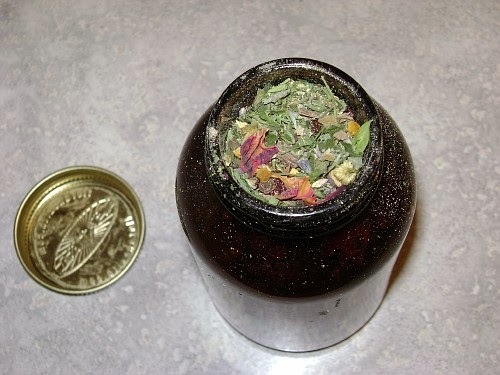 Herbs: parsley, red clover, rosemary, sage, burdock, calendula, chamomile, comfrey leaf and root, elder flowers, horsetail, kelp, bladderwrack, irish moss, lavender, marshmallow, nettle, coltsfoot, white pine, green tea, ginsing, coconut milk ,cocoa powder, chlorella, annatto, rose, and orange powder. Herbs: basil, burdock, chamomile, calendula, elder flower, geranium, lavender, mullein, nettle, parsley, peppermint, rosemary, sandalwood, watercress, st johns wort, rosehips (strengthens hair shaft), hops, horsetail, ginko/fumitory (absorb nutrients), fenugreek, comfrey, cocoa powder, beer, alphalfa. EO’s: basil, roman chamomile, lavender, geranium, peppermint, rosemary, sandalwood, st john’s wort, hops, parsley. Herbs: basil, burdock, calendula, chamomile, fennel, horsetail, linden, marshmallow, mullein, nettle, parsley, rosemary, sage, watercress, kelp, fenugreek, cocoa powder, beer, alfalfa, hops. EO’s: basil, roman chamomile, juniper, lemon, lemongrass, rosemary, parsley, clary sage. Herbs: calendula, catnip, chamomile, comfrey, yucca, watercress, oregano, marshmallow, hops, hyssop, ginko, fenugreek, elder, cocoa powder, alfalfa . Herbs: burdock, calendula, chamomile, horsetail, marshmallow, nettle, oregano, yucca, milk thistle, hyssop, fennel, elder, lavender . EO’s: chamomile, cedarwood, clary sage, ylang ylang, hyssop, lavender, oregano. Herbs: burdock, horsetail, lavender, nettle, peppermint, rosemary, sage, thyme, willowbark, yucca, parsley, green tea, fenugreek, coltsfoot. EO’s: bay, cedarwood, clary sage, cypress, eucalyptus, juniper, lavender, lemon, myrrh, patchouli, peppermint, pine, rosemary, tea tree, ylang ylang. *Remember, just because something is 'natural' doesn't mean it's good for you. Talk to your doctor before starting any herbal treatment. If you are pregnant or lactating be aware that there are many herbs you must steer clear of. Do your research, chicas! Healthy nutrition and exercise are definitely the most important part of your natural hair care regime in my opinion. What goes in the body is a good reflection of what comes out; physically, mentally and Vanity! Homemade, organic herbal tea is like drinking a liquid vitamin in its most purest form beacuse it absorbs directly into the bloodstream. This organic tea contains many special vitamins, minerals, antioxidants and phytonutrients to enhance healthy skin, hair and nails! It has excellent Health & Beauty benefits like purifying the blood, boosting circulation, promoting healthy hair growth, glowing skin, strong lustrous nails and the list goes on! Some of the herbs are detoxifying, so it’s also a great way to gently cleanse the body on a regular basis! 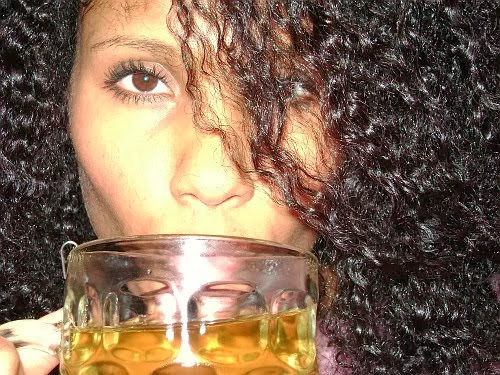 Drink this fresh homemade Organic Wellness Tea as part of your daily health and hair care regimen... Cheers! You can use a reusable silk or linen tea pouch, a stainless steel tea infuser or get some of the disposable unbleached tea bags at your local grocer! Steep the tea leaves for a least 10 mins and enjoy by itself or with a tiny bit of any natural/organic sweetner like Agave, brown rice syrup, raw honey, maple syrup, stevia ect. Add these herbs to your next wash day or to your next batch of henna! Do you use herbs in your hair regimen?